MP Celina Caesar-Chavannes has quit the Liberal caucus. Prime Minister Justin Trudeau confirmed the news to reporters on his way into the House of Commons on Wednesday. "I have just been notified by my office that Celina Caesar-Chavannes has decided to sit as an independent. I want to thank her for her service to the Liberal party and to her constituents and wish her the best in her continued service to constituents," Trudeau said. Trudeau later revealed that he received the news via "a short email." 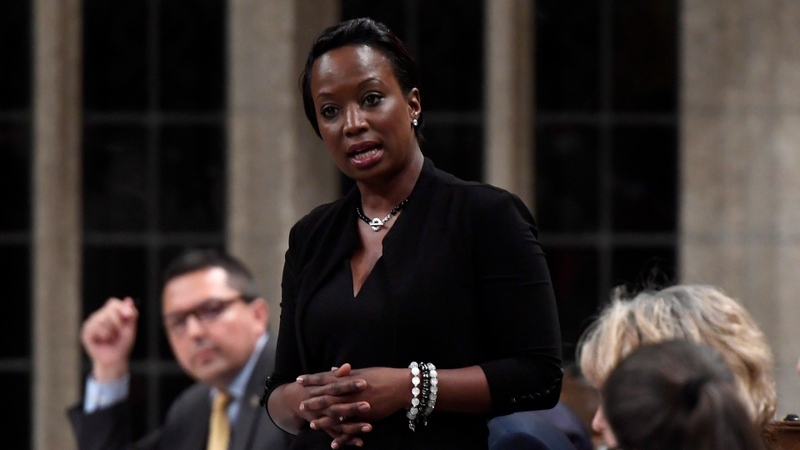 Caesar-Chavannes addressed her departure in a tweet, stating that a recent interview she did with the Globe and Mail “had unintended effects on those I care about.” The tweet also stated she no longer wants to "distract from the great work my caucus colleagues are doing." Caesar-Chavannes also hinted at the interaction in a March 7 tweet. In reaction to the allegations, Matt Pascuzzo, a spokesperson for the Prime Minister's Office, denied that Trudeau had been hostile to Caesar-Chavannes. "There's no question the conversations in February were emotional, but there was absolutely no hostility," Pascuzzo said at the time. "As the prime minister said...he is committed to fostering an environment where ministers, caucus and staff feel comfortable approaching him when they have concerns or disagreements. That happened here." The Whitby, Ont. MP’s departure comes shortly after two other Liberal MPs, Jody Wilson-Raybould and Jane Philpott, resigned from cabinet in the wake of allegations that the Prime Minister's Office interfered in the corruption case against Quebec engineering giant SNC-Lavalin. The two remain in the Liberal caucus. Caesar-Chavannes has been vocal in her support of her two colleagues, tweeting out multiple supportive messages following their decisions. "When you add women, please do not expect the status quo. Expect us to make correct decisions, stand for what is right and exit when values are compromised," she wrote in a March 4 tweet, reacting directly to Philpott's cabinet resignation. Conservative MPs wasted no time criticizing Trudeau in the wake of Caesar-Chavannes' departure. During a fiery question period, Conservative House Leader Candice Bergen accused Trudeau of "demeaning all women" and of being a "fake feminist." 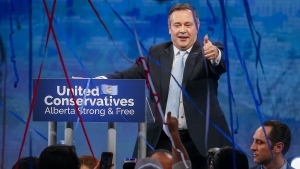 "The prime minister is really good at yelling and screaming at women, as the member from Whitby knows, and he's also a very good actor," Bergen said. "But, Mr. Speaker, he's a fake feminist." Trudeau fired back with criticisms of the Conservative Party’s record with respect to women's rights. Speaking in French, he accused them of "backward thinking" and of pushing back against abortion rights. He also said that "if the leader of the opposition wants to be a better feminist than me, I wish him good luck. That would be a great thing." Later in the day, Trudeau thanked Caesar-Chavannes for her service under the Liberals and reiterated that he wishes her "all the best" going forward. "I fully respect her decision," he said.